I am looking for the old-art version of the Tower with the watermark. 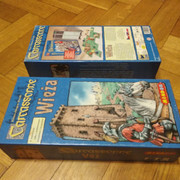 I currently have the Polish version of the expansion (tiles without watermark), so I would be interested in either: buying/trading whole boxes of just the tiles. For the sake of shipping cost I am living in Poland (EU). I may have one with watermarks still somewhere at home. Although I don't need a polish one so maybe there is someone elso who can trade. To be clear, I am looking for the Tower tiles in old art, that have a watermark (expansion symbol). 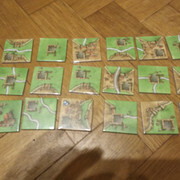 I am willing to buy them or exchange them for my tiles, that does not have a watermark.